Diabetes And 6 Best Alternative of Sugar Subtitute- Sugar is a generic name for carbohydrates that dissolve in sweet, many are used in food. 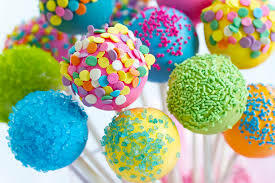 There are various types of sugars such as monosaccharides including glucose (also known as dextrose), fructose, and galactose. The most common "table sugar" or "sugar" used as food is sucrose, glucose and fructose disaccharide. If you are a sugar enthusiast, you should start reducing the dose. Consuming too much sugar can invite danger. Reporting from the United States Business Insider, Food and Drug Administration (FDA) states that people can only consume 50 grams of sugar a day or equivalent to four tablespoons. And The World Health Organization (WHO) even calls for the best results a person may only consume no more than half the amount stated by the FDA. Many diseases arise because of consuming too much sugar. one of the diseases is Diabetes. This disease is long-term or chronic disease characterized by glucose levels that are far above normal. 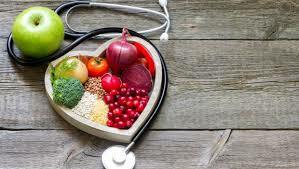 Other diseases that will occur are obesity, pancreatic cancer, high blood pressure, heart disease, gout, and various advanced diseases can also occur. Before eating is 70 to 130 mg / dl. Two hours after eating less than 180 mg / dl. If you don't eat (fasting) for at least 8 hours then your blood sugar level will be less than 100 mg / dl. Before we sleep, blood sugar levels are 100 to 140 mg / dl. Research shows that someone who has breakfast often has lower blood sugar than people who rarely eat breakfast. Therefore, don't miss breakfast. Actively exercising will actually reduce blood sugar levels while increasing insulin sensitivity. Research shows that someone who walks every day will reduce the risk of developing diabetes by 30%. Intake of foods derived from whole wheat such as oatmeal, cereals, and whole wheat bread is good for controlling blood sugar levels. And eating several fruits and vegetables must be done every day. Many prove that consuming cinnamon can reduce blood sugar levels. Many diabetics even recommend daily intake of cinnamon to prevent diabetes. The protein content in soybeans is proven to be able to control blood sugar levels and insulin levels. In addition, this can also help you avoid obesity due to excess fat. Sweet drinks can increase blood glucose levels. It would be nice if you replace your sweet drink with a glass of water. Stress can increase a type of hormone in the body that can increase blood glucose levels. Therefore, avoid stress in any form. Minimize your stress with always thinking positively. Sleep at least 6 to 8 hours per day. If you lack sleep, the body's metabolic processes will be disrupted. In addition, lack of sleep will also stimulate hunger, causing you to want to consume more food. As a result, blood sugar levels will increase. Cigarettes trigger many diseases. Besides diabetes, cigarettes can also cause heart disease, diseases of your lungs, even the lungs in those around you. Replace your fat needs by consuming fish oil, olive oil, almond oil, or various types of fat sources that are good for body health and reduce excess fat. Maple syrup has a natural sweetness, so it is suitable to be a sugar substitute. Maple syrup is made from the sap of maple trees. Generally, maple syrup is used as a syrup for pancakes poured on it. Maple syrup is also used in cake recipes or desserts to give a distinctive flavor. 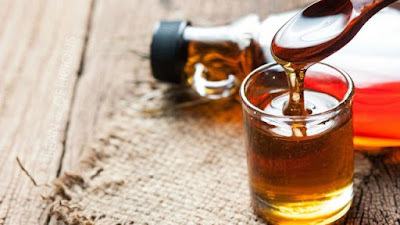 One tablespoon of pure maple syrup contains 52 calories and one tablespoon of maple syrup contains about 13.5 grams of carbohydrates with 12.4 grams of carbohydrates derived from sugar. Dates are fruit oval shaped cylinders with a length of 3cm to 7cm and a diameter of about 2cm-3cm. Dates (Phoenix dactylifera) is a tree that produces date palms which is a type of palm plant. Dates contain calories of 282 kcal, carbohydrates 75.03 g, protein 2.45 g, sugar 63.35 g so that dates are safe enough to be consumed as a substitute for sugar. 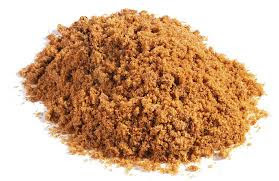 Coconut sugar has the same amount of calories as regular sugar, also contains important nutrients such as zinc, iron, calcium and potassium. 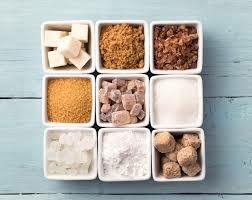 Coconut sugar contains fructose which is far less than white sugar, so your body processes it in different ways. 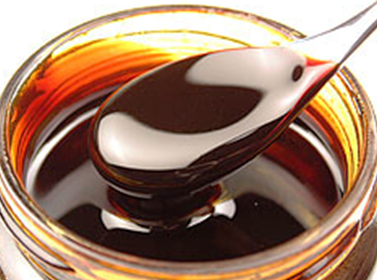 Agave syrup is a sweetener obtained from several agave plant species. This syrup is sweeter than sugar and honey, and slightly thinner than honey. Most of the world's agave syrup production is produced from Mexico and South Africa. 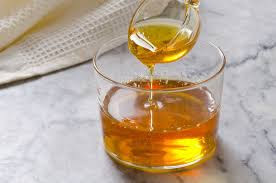 According to The American Diabetes Association, honey and agave syrup have a lower glycemic index level than sugar, which means that honey and agave syrup will not make your blood sugar rise quickly. Stevia extracted from the leaves of plants that belong to the Ateraceae family, often associated with daisy or ragweed plants. In Paraguay and Brazil, for hundreds of years, people use leaves from the Stevia rebaudiana (Bertoni) plant to sweeten food. Based on a journal published in the Journal of Dietary Supplement, mice given about 200 and 500 mg daily experienced a decrease in blood sugar levels, triglycerides and alkaline phosphatase. 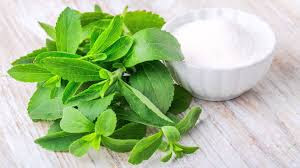 Human studies also show that eating stevia before eating can reduce blood sugar levels after meals and insulin. 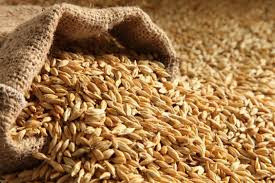 Barley malt will increase the body's metabolism and strengthen the immune system. You can use Barley Malt in your cake batter. That will make your cake healthier and have a delicious taste. Molasses not only have a sweet taste but are also a good source of iron and calcium, making it useful as a perfect substitute for sugar. Molasses has a stronger flavor, but not as sweet as sugar. The fact that molasses contains more acid than sugar.